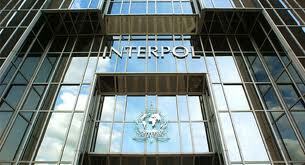 August 21 – An Interpol-led operation during the World Cup led to thousands of raids against illegal gambling conducted throughout Asia and a string of arrests, according to the organisation. Operation SOGA VII (short for soccer gambling) saw more than 14,900 raids at illegal dens across China, Hong Kong, Macao, Malaysia, Thailand and Singapore, estimated to have involved some $1.6 billion worth of bets. Coordinated by INTERPOL’s Organized and Emerging Crime Directorate, the operation produced 242 arrests in Hong Kong alone while during the month-long initiative police seized more than $1.7 million in cash as well as 1,000 computers and mobile phones which are being analysed to support ongoing investigations. In Macao, police received intelligence that a criminal network had set up an illegal gambling ring targeting betters in mainland China and 16 individuals – including the suspected ringleader – were arrested. “With the Hong Kong Police Force alone seizing betting slips worth $16,8 million, Operation SOGA VII owes its success largely to the power of global and regional police cooperation through INTERPOL,” said Chief Superintendent Tat-Shing Man of Hong Kong’s Organized Crime and Triad Bureau. “Participating jurisdictions made the most of our solid collective experience of six previous SOGA operations which enabled us to clearly anticipate links between Asian betting syndicates and their illegal counterparts operating beyond Asia’s borders during the World Cup,” added Man, who also serves as chairman of INTERPOL’s Asia-Pacific Expert Group on Organized Crime. INTERPOL’s Director of Organized and Emerging Crime, Paul Stanfield, explained how illegal gambling generates huge profits for organised criminal networks which are often linked to other serious crimes. “Such online platforms have brought an international dimension to the phenomenon and are often located in jurisdictions with few regulations on sports betting, presenting additional challenges for police. A coordinated international response is necessary to tackle this type of crime, especially as it moves from gambling dens to internet-based illegal betting operations,” said Stanfield.